Nimonik works with a number of automotive companies and their suppliers. One of the recurring challenges we hear about is ensuring quality control across operations and across OEMs who are clients of the parts companies. To assist, we prepared two helpful checklists for the automotive industry; IATF 16969: 2016 and the ISO 9001: 2015. The checklists are not copies of the standards, but rather a list of questions that will help you know if you are respecting the intent of the standard. Please purchase a copy of the standards if you must use them in your operations. 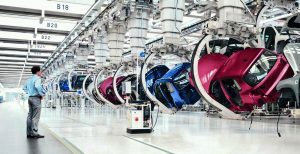 IATF 16949: 2016 is the recently published revision to ISO/TS 16949: 2009, one of the most widely used international standards in the automotive industry. The standard acts as a supplement to ISO 9001: 2015 for automotive quality management systems. The 16949: 2016 publication attempts to bridge the previous disconnect between multiple rigorous customer-specific requirements and accepted automotive standards. Its structure mirrors that of ISO 9001:2015, which enables quality managers to consolidate the two standards. In addition, the revision better integrates with supply chains, allowing complex organizations to simplify compliance efforts. Nevertheless, automotive parts companies are still subject to a variety of OEM requirements and staying up-to-date with them can be a major challenge. If you require assistance in managing client requirements across your supply chain and your operations, contact Nimonik at info@nimonik.com to discuss our solutions that can help you streamline this process. You can read more about the recent changes to the automotive industry in our blog post here.